Ideal for retrofit and for energy saving lighting control in existing installations, the new series of miniature PIR (passive infra-red) presence detectors from UK manufacturer, CP Electronics, have been specifically engineered for mounting directly onto a batten style luminaire. 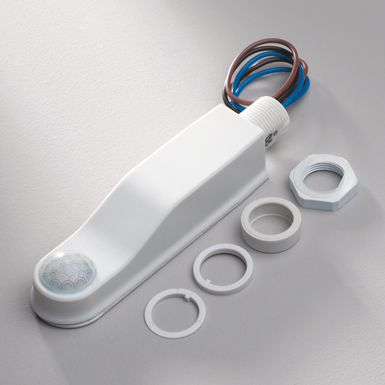 The EBMPIR-MB lighting control sensor detects movement via the PIR and turns the load on. When the area is vacated, after an adjustable time out period, the load is switched off. Programmable via an IR handset (UHS5) the EBMPIR-MB batten mount PIR sensor can be set up or the parameters adjusted without the need for direct access, or removal from the luminaire. With IP65 rating, these PIR sensors are suitable for use outside or in damp environments. 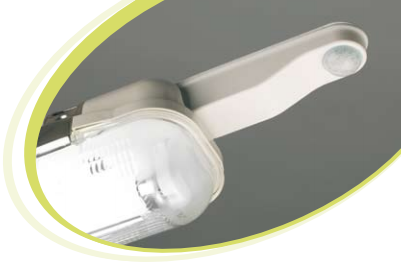 Each detector is supplied with a selection of fixing components to allow easy fitting into a variety of style of luminaire. These batten mount PIR detectors provide a simple but effective means of lighting control. 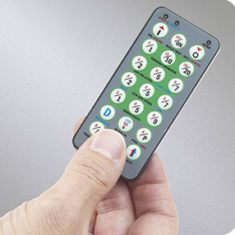 Available as -PRM for switching only, -DD for dimming DSI/DALI, and -AD for dimming 1-10V. Versions of this batten mount PIR sensor also available for low temperature environments.